Nikon just announced their newly redesigned AF-S NIKKOR 50mm f/1.4G lens among all of the hubbub at Photokina. Nikon's 50mm combines great optical design with low light performance and their Silent Wave Motor, making this optic a top choice for existing light photography. Along with the new Sigma 50mm f/1.4 and offerings by other manufacturers, I would say that the 50mm lens is back in business. Mounting these reengineered optics on new high-resolution sensors gives photographers access to exciting, gritty image-making, and at a reasonable cost. Personally, I love it! Super Bargain Canon Replacement Battery? 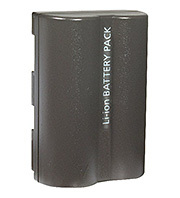 I was just talking to a photo buddy who had purchased four of these Ultralast UL-BP511 Canon BP-511 Equivalent Digital Camera Batteries for only $2.49 each. He said the performance was excellent, and that opinion seems to be backed-up by 54 customer reviews on Amazon. The battery looks just like the Canon brand (that sells for about $50 US), and has good specs. Could be a great deal. The only catch seems to be that it's only available in the US. Put that empty hot shoe to work with the just-announced Jobo photoGPS, a $159 Global Positioning System (GPS) receiver that is triggered by the hot shoe contact on your camera. The "device allows automatic geo-tagging by capturing raw GPS data and time which enables new and more efficient ways to search, visualize, and share photo collections," reports PCPhoto. Jobo is launching the product with Windows software to sync data with your images, but a Mac OS X version is promised by the end of the year. If it turns out to be reasonably easy to use, this could be a good geo-tagging solution all levels of photographers. It might even be a nice solution for my Canon G9. Rob Galbraith has just posted an excellent preview for the Canon EOS 5D Mark II. "Canon has announced the EOS 5D Mark II, an update of the oldest camera in its digital SLR lineup and one that the company promises will deliver the best image quality and lowest noise of any EOS model to date," reports Galbraith. "Headlining the 5D Mark II is a 21.03 million image pixel full-frame CMOS sensor that is derived from the sensor in the EOS-1Ds Mark III, but with several improvements meant to improve shadow rendering and noise levels at all ISO settings." "The refined sensor is also at the heart of Canon's first foray into digital SLR video: the 5D Mark II can record clips at 1920 x 1080 pixel (1080p) resolution, with sound (captured via either a built-in mono mic or through an external mic connected to the camera's stereo mic jack)." I was excited when Nikon announced the D90 with movie mode. Canon had topped Nikon here with full 1920 x 1080 resolution at 30fps. And they included an external mic jack. Yes! The new Canon 5D should ship before the end of November for $2,699 US. Sometimes you have to work fast. Like "passport photo" fast. 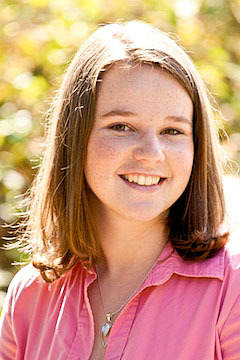 That was the case today when a PR professional needed a quick head shot. Neither one of us had much time, so i noted just how long it took to deliver a gallery of images from the moment we met to the moment I sent her the URL. The verdict: less than 90 minutes. Start with the shoot itself. The sun was nice this afternoon, so we walked outside with a Canon 5D and the 70-200mm f/4 L lens. No extra lighting, or even reflectors were used. I positioned her so the sun provided rim lighting on her hair and used the spot meter to determine the exposure for her face. Then back to the computer to download the images to Aperture. I did a quick sort and narrowed the selects to a gallery of 15 images. I adjusted two of the shots, then used lift and stamp to apply those adjustments to the images that were similar. I cropped each one individually. The last step was uploading the selects to MobileMe via Aperture to create the online gallery. I included the "download" option so the client could grab a high resolution version of the shot she like best. I sent her an email with the url and password, then moved on to the next item on my ToDo list. These are the times when knowing how you like to shoot, then having an agile post production workflow, really pay off. Regardless of which photo management software you're committed to -- Aperture, Lightroom, iPhoto, or your Pictures folder -- Karelia iMedia Browser will let you quickly look into any of those libraries. And if you want, drag something out. Oh, and if that wasn't cool enough, the download is free. iMedia Browser has the handsome looks of Apple's Media Browser, and it runs wickedly fast. You can leave it running on the Dock, so you can take a peek inside any of your photo libraries on the fly, and if needed, drag out a shot. iMedia Browser also has a search field that has the same zippy performance of searching in iTunes. You can also use iMedia Browser to look for music, video, and bookmarks. iMedia Browser won't acknowledge images that are out loose on drives or your computer. (This may be a good thing, organizationally speaking.) They have to be filed in the Pictures folder or contained in one of the above-mentioned applications. It will, however, find libraries on external drives. So, if you have an Aperture library on your laptop and another on a connected drive, iMedia Browser will show you both. As you may have figured out by now, this application is for Mac users, running Mac OS X 10.4 or 10.5. Available in English, Danish, French, German, and Traditional and Simplified Chinese. It is one of the most handy utilities I've run across in a while. One of my most enjoyable encounters from Beijing was with Mine Kasapoglu, a photographer who resides in İstanbul, Turkey where she works as a freelance shooter. Mine started covering Olympics in 2002 at Salt Lake City, and has been working them ever since. I just published a podcast interview with Mine, where she talks about her early encounters with the Mac platform, her introduction to Aperture at the Torino Olympics, and about her approach for covering the Beijing event. She is just a delight, and i think you'll enjoy what she has to say. Photo of Mine by Mustafa Yalcin. 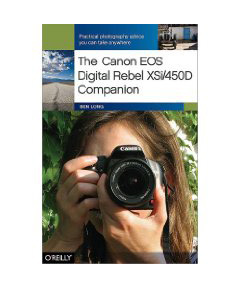 My friend Ben Long has just released the second book in O'Reilly's new Companion Series, The Canon EOS Digital Rebel XSi/450D Companion. "Through a series of easy-to-follow lessons, The Canon Digital Rebel XSi Companion gives you a complete class on digital photography, tailored specifically for people who use this camera. This is not a typical camera guide: rather than just showing you what all the buttons do, this unique book teaches you how to use various Digital Rebel features to make great photographs. I've taught with Ben, and I can tell you that you'll get a lot more out of this book than a tour of buttons and dials. Do you remember a podcast from my past called the iLife Zone? If so, you know that Chris Breen and I used to chat about all things Mac. Well, we got together again this week on the MacWorld Podcast to talk about my trip to Beijing and working in the Main Press Center. It's a good conversation, and it was terrific to be working with Chris again.